Working through a divorce is not an easy process. Despite the best intentions of everyone involved sometimes marriage just doesn’t work out and it’s in the best interests of you and your spouse to go your separate ways. Reaching an agreement with the other party offers many advantages, and greatly reduces the financial and emotional costs of legal proceedings. While you should always seek legal advice to make sure you’re proceeding in the best interest of all parties, you can agree on how your assets should be divided without any court action – either via a financial agreement, or an agreement formalised by applying for consent orders. Apart from custody issues, financial issues are the primary source of stress when divorcing as your financial affairs will need to be separated. This not only involves shared assets such as homes, furnishings and bank accounts but financial assets, such as businesses that may be owned or superannuation funds. You will also need to consider the beneficiaries or wills and life insurances as part of this process. This is where a lot of parties come unstuck as reality sinks in. If you are unable to reach agreement on these things you may ask the court to do this for you. Working through this process in advance with your spouse will make the divorce proceedings much simpler, cheaper and smoother. Are you an Australian or have lived in Australia more than 12 months? Immigrants represent at least one divorce party in almost 50% of all divorce cases. If you are both non-Australian and have spent less than 12 months in Australia you should seek advice on how to proceed, particularly if assets that should be divided are held overseas. Have you continued to co-habit? In some situations a separated couple may continue to co-habit for economic reasons or where there are children involved. In this instance you will need to supply an affidavit that demonstrates how you have been living separate lives, including the division of finances (for example separate bank accounts). Are there children involved? Around 50% of all divorces involve at least one child and this further complicates the situation. Shared custody will need to be allowed for along with support payments for the spouse who will be the main care provider. It’s important that you try to maintain a good relationship with your partner for the sake of the children. You will need to continue communicating with each other as you make decisions about their future. You also need to make sure you update any relevant government departments if you receive a government benefit; for example, Centrelink or the Department of Human Services (Child Support). Are you applying jointly? Since 1995 the rate of joint applications has increased from 18% to 43% in 2015 showing a greater willingness of couples to accept the divorce and work through the process together. If your partner files for divorce on their own and you feel there is incorrect facts in their application you will have a period in which you can file a Response to Divorce. The first step is filing for a divorce. This can be done online and involves a filing fee. You must be willing to demonstrate that your marriage is irretrievable in order to satisfy the court hence the need for a twelve months separation. You must also show that provision has been made for the ongoing care of any children involved in the relationship. Once filed there will be a court hearing. You will not be obliged to attend this unless there are children involved or matters you wish to dispute. So, what does it cost? Filing for divorce normally carries an $865 fee on application although this can be reduced in special circumstances. Court hearings will generally cost around $600. If the divorce is being opposed or challenged then additional fees for court costs and subpoenas may be incurred. If you cannot agree custody of any children involved then family court fees may also be necessary. In addition, you may face legal or accounting costs to divide up assets and reach agreement on other matters. Additional costs such as realtor fees if selling a home must also be considered. All up you can expect it to be a reasonably expensive exercise, especially if both parties aren’t in agreement. 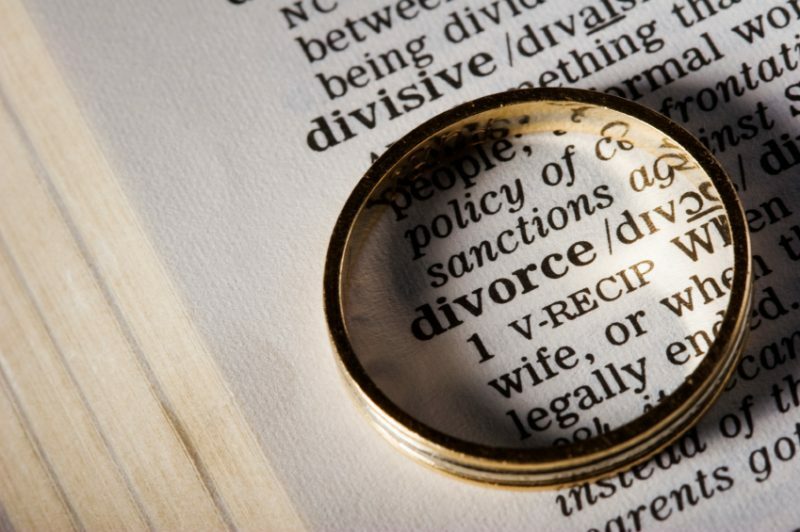 Divorces is an unfortunate process for all parties involved. No one goes into a marriage intending for it to end. It’s important to appreciate your partners best intentions and try to work through the situation as amicably as possible for all involved. Seek good advice on how to proceed before beginning the process. Also check out the Family Court of Australia’s website. If you’re facing the prospect of divorce, and concerned about making the right financial decisions, you don’t have to make them on your own. A financial adviser (or planner) spends their days identifying and presenting opportunities to their clients. Our simple, quick, free service will connect you to the best independent financial advisers, based on your needs. Click here to get started.